In a bid to enhance the operational independence and capabilities of the Andaman & Nicobar Command (ANC), Naval Air Station (NAS) Shibpur will be commissioned as INS Kohassa on 24 January 2019, by the Chief of Naval Staff, Admiral Sunil Lanba. INS Kohassa has been named after a white-bellied sea eagle, which is a large bird of prey endemic to the Andamans, the command announced on 18 January. 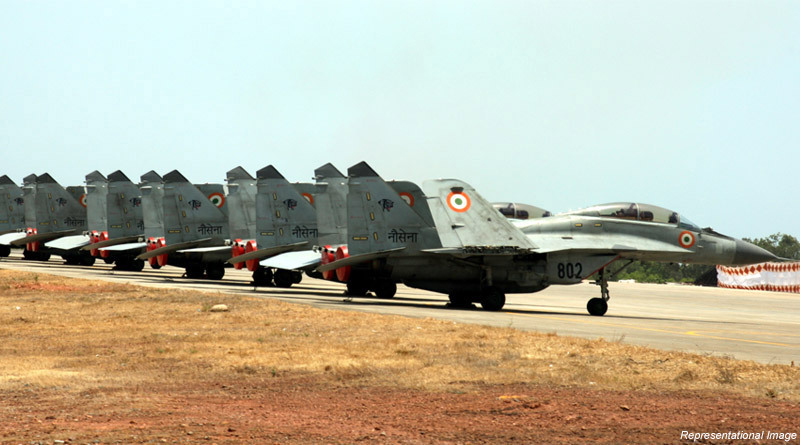 The NAS Shibpur was established in 2001 as a Forward Operating Air Base (FOAB) for surveillance in North Andaman. Located in the northern most part of the islands, the airfield holds strategic importance not only for the security of the islands but also for its overall development, said a press release by the Andaman Nicobar Command. With the addition of this airfield, the ANC’s ability to operate independently from all the regions of the ANI will get a great boost. The press release said the basing of an independent naval unit with the requisite facilities and manpower will enhance overall operational capabilities of ANC. It will open up the opportunity for permanent basing of aircrafts at the Naval Air Station. Currently, it provides detached operations of smaller aircrafts of Indian Navy, Indian Air Force and Coast Guard with an airstrip of 1000 metre length. INS Kohassa will become the third Naval Air Base in Andaman after INS Utkrosh at Port Blair and INS Baaz at Campbell Bay. Post commissioning, the station will function as a base for joint operation of both military and civil aircraft in keeping with the UDAN scheme of the government. As part of Phase II expansion plan, the runway length would subsequently be extended to 3000 metres. This will enable the operation of wide-bodied civil and defence aircrafts in the future.